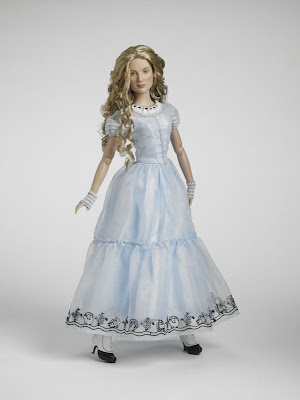 Here is the first of the Alice in Wonderland Tonner Dolls. There are more expected, but they won't be out until March. The good news is that they can be pre-ordered. Here is Alice, the Mad Hatter, the Red Queen, and the White Queen. An article about Anne Hathaway's creative process of developing the White Queen character, where she declares that the White Queen must be a vegan punk. The LA Times compares and contrasts the animals of Alice in Wonderland through the ages. Danny Elfman interviews Tim Burton for Interview Magazine.